“Blessed Nykyta: Bishop and Martyr,” a play with music commemorating the 100th Anniversary of the Appointment of Bishop-Martyr Nykyta Budka as the First Ukrainian Catholic Bishop in Canada, presented by Rev. Edward Danylo Evanko, will take place 7:00 pm, November 1 at Saint Basil’s Cultural Centre, Edmonton. Tickets $20.00, available at the Chancery Office (780) 424-5496 or chancery@edmontoneparchy.com. Proceeds in support of the 25thAnniversary of the Metropolitan Andrey Sheptytsky Institute, Ottawa. 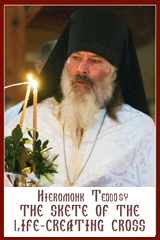 On the occasion of the 25th Anniversary of the Metropolitan Andrey Sheptytsky Institute of Eastern Christian Studies, the Ukrainian Catholic Bishops of Canada, who are the patrons of the Institute, have authorized a special collection to be taken up in each parish on November 6 to support the education of our future priests and lay leaders. Your generous contributions would be greatly appreciated. For more information on the Institute, you are invited to visit their website at: www.sheptytskyinstitute.ca. Clergy Conference – November 9 (Saint Josaphat’s Parish Hall, Verkhovyna). The Ukrainian Canadian Congress (Edmonton Branch) invites clergy, religious and laity to attend the 78th Commemoration of the Anniversary of Holodomor 1932-33 in Ukraine at a special memorial service at City Hall, Edmonton, on Saturday, November 26, at 12:30 pm. This year’s guest speaker is Borys Radyo, Assistant Superintendent, Education Planning, Edmonton Catholic School District. The Annual Bishop’s Appeal “What Gift Have I, Worthy of a King?” takes place on December 4. The Appeal coincides with the Feast of Saint Nicholas, the Wonderworker, Archbishop of Myra. Saint Nicholas is uniquely tied to Christmas, the celebration of Jesus’ birth. Early stories about Saint Nicholas carry with them the Nativity themes of love and justice. He is characterized as a generous and pious servant of God, caring for children and families, and providing gifts for their spiritual and physical well-being. And that’s what the Ukrainian Catholic Church is all about. Caring and providing for the faithful throughout the Province of Alberta. Help Bishop David in spreading the Good News of the Gospel of Jesus Christ by supporting our Eparchial ministries and offices, including: Youth Ministry, Family Life Ministries, Religious Education, Liturgy Office, Vocations, Ecumenism, Social Outreach, and Marriage Tribunal. With Christmas on our doorstep, one of the holiest times of the year, and in the spirit of Saint Nicholas, what gift do you bring now to the infant Jesus, who lays quietly and peacefully in a manger? Thank you for your generosity! May God bless you and your families! GriefShare is a weekly meeting and support group to help people as they grieve the death of a family member or friend. 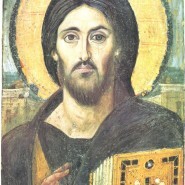 This program begins January 17, 2012 and meets at 7:00 pm every Tuesday for 11 weeks at Exaltation of the Holy Cross Parish, Edmonton. For registration and further information, contact Gloria Green, Religious Education, (780) 425-9907; gloriagreen@shaw.ca. The VII World Meeting of Families will take place from May 30 – June 3, 2012 in Milan, Italy. The meeting is organized by the Pontifical Council for the Family. The theme is The Family: Work and Celebration. For more information, visit www.family2012.com. Pope Benedict XVI announced that he was calling a forthcoming “Year of Faith.” The Year will begin on 11 October 2012, fiftieth anniversary of the opening of Vatican Council II, and will come to an end on 24 November 2013, Feast of Christ the King. Its aim “is to give renewed energy to the Church’s mission to lead men and women out of the desert in which they so often find themselves, and towards the place of life, towards friendship with Christ Who gives us life in all its fullness.” The Year will likewise be an opportunity “to strengthen our faith in Christ and joyfully to announce Him to the men and women of our time,” the Pope said. His Beatitude Sviatoslav, with the consent of the Permanent Synod, and having informed the Apostolic See, has accepted the resignation from the pastoral care of the Eparchy of Sambir-Drohobych, presented by Bishop Julian Voronovsky, in accordance with canon 210, 1 of the Code of Canons of the Eastern Churches. He is succeeded by Coadjutor Bishop Jaroslav Pryriz. A new publication is available: “The Holy See and the Holodomor: Documents from the Vatican Secret Archives on the Great Famine of 1932-1933 in Soviet Ukraine,” edited by Athanasius McVay and Lubomyr Luciuk. For pre-orders, download the form. Rev. Damien Weleschuk, osbm, passed away peacefully in the Lord in Covenant Health Mary Immaculate Hospital on Saturday, October 15. Throughout his 66 years as a religious order and 54 years as a priest, Father Damien served the spiritual needs of the faithful in various places, at: St, Josaphat’s Cathedral, Edmonton; Protection of the Mother of God Parish, Vancouver; St. Basil’s Parish, Toronto; Holy Trinity Parish, Vegreville; St. Basil’s Parish, Winnipeg; Sts. Peter & Paul Parish, Mundare. He was Manager of the Basilian Press, Toronto. May God grant him eternal memory!